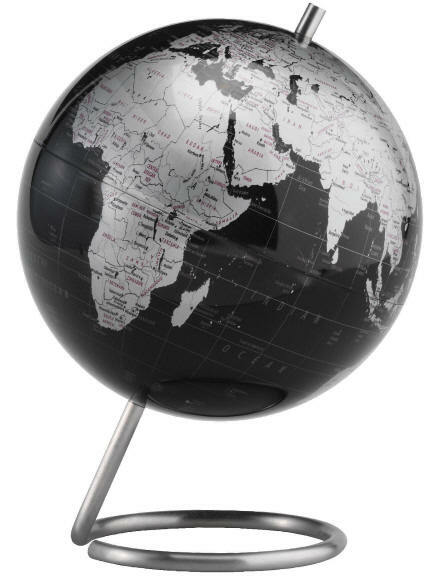 The contemporary Spectrum world globe features the same stunning slate-colored oceans as the award winning Mikado (12" diameter), and is accentuated by a high-contrast metallic silver map. The globe is bisected by a unique stainless steel axis base. Sold in quantities of 4 globes per pack.